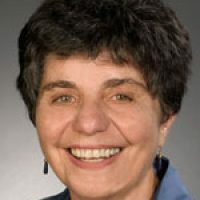 Dr. Catherine D. DeAngelis is a professor at the Johns Hopkins University School of Medicine (Pediatrics) and the Johns Hopkins University School of Public Health (Health Policy and Management) and Editor-in-Chief Emerita of JAMA, the Journal of the American Medical Association (2000 to 2011). She received her MD from the University of Pittsburgh’s School of Medicine, her MPH from the Harvard Graduate School of Public Health (Health Services Administration), and her pediatric specialty training at the Johns Hopkins Hospital. She also has been awarded seven honorary doctorate degrees and has received numerous awards for humanitarianism and medical excellence. From 1990 to 1999 she was vice dean for Academic Affairs and Faculty, Johns Hopkins University School of Medicine, and from 1994 to 2000, she was editor of Archives of Pediatrics and Adolescent Medicine and also has been a member of numerous journal editorial boards. Dr. DeAngelis has authored or edited 13 books on Pediatrics and Medical Education and has published over 250 peer-reviewed articles, chapters, and editorials. Most of her recent publications have focused on conflict of interest in medicine, on professionalism and integrity in medicine, on women in medicine, and on medical education. Her major efforts have centered on human rights especially as they relate to patients and the poor. Dr. DeAngelis is a former council member and current member of the National Academy of Science (NAS), Institute of Medicine (IOM); a Fellow of the American Association for the Advancement of Science; a Fellow of the Royal Academy of Physicians and has served as an officer of numerous national academic societies including past chairman of the American Board of Pediatrics and Chair of the Pediatric Accreditation Council for Residency Review Committee of the American Council on Graduate Medical Education. She currently serves on the Advisory Board of the U. .Government Accountability Office and the IOM (NAS) Omics-Based Tests Committee. Dr. DeAngelis previously served on the board of Physicians for Human Rights.